Washington’s controversial I-1639 ballot initiative isn’t popular in large portions of the state. Like many places, Washington politics is often influenced by the geographically small portion that makes up the large urban centers. In this case, Seattle and a couple of other places decided I-1639 needed to happen and screw the rest of the state. Ferry County, Washington was one of the counties that opposed I-1639. Now, their sheriff has said he has no intention of enforcing the law. The police chief of a small town in northeast Washington says he won’t be enforcing a new voter-approved gun control initiative. iFIBER ONE News spoke with Culp about which part of the recently-approved mandates he disagrees with and will refuse to enforce within Republic’s city limits. 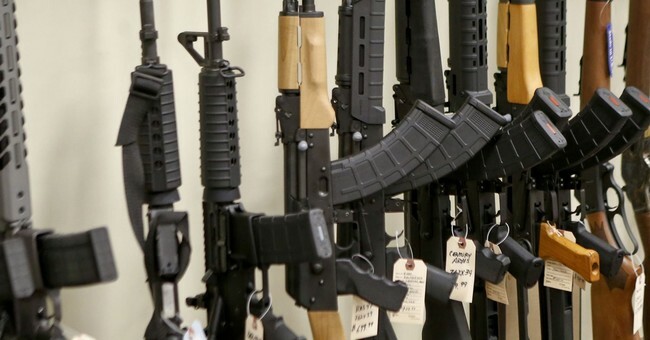 Culp’s additional commentary regarding the issue suggested that he is mainly averse to the portion of the law which places age restrictions on the purchase of semi-automatic rifles. Culp is also urging the city council of Republica, WA to enact a city ordinance which will turn it into a “sanctuary city” when it comes to I-1639. And I have to say, the left brought this on themselves. Oh, trying to cram this kind of crap down people’s throats is bad enough, but they forgot that while they were applauding sanctuary cities over immigration that it opened the door for any community to refuse to enforce any other law they chose. The fact that they simply don’t like immigration laws but love gun laws is irrelevant. Either a community is required to enforce all the laws, or it’s not. If no, then it can pick and choose which laws it wants to enforce and which it wants to ignore. Frankly, I’m cool with this. I-1639 should never have been allowed on the ballot, but it was. Now a handful of urban elites who think they know better than everyone else want to make the state bar legal adults from exercising their rights. Not everywhere wants to play that, though, and now those elites have to reconcile that. The Law of Unintended Consequences rears its head again. Those who thought sanctuary cities were great never thought about what all might be done once that door was opened, and now I’m just going to sit back and laugh at them over it.